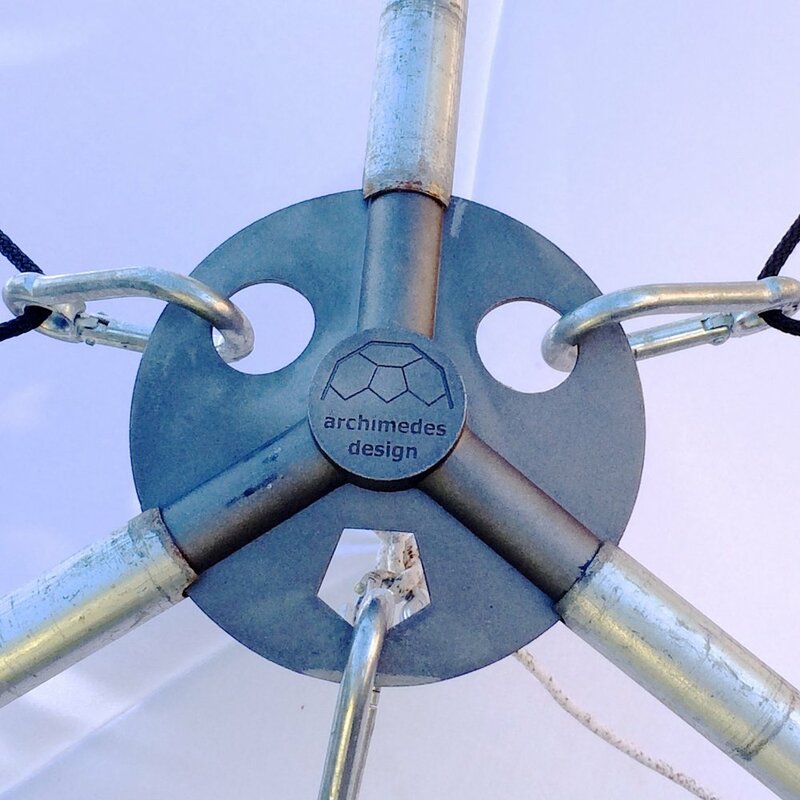 Archimedes Design introduces the revolutionary QuickDome! Based on the geometry of a truncated icosahedron, just like the pattern of hexagons and pentagons on a soccer ball. This unique innovation eliminates two-thirds of the poles needed to construct a traditional dome. QuickDomes are easy to erect thanks to uniform parts, including our proprietary hub which is interchangeable for all models. Modular design, step-and-repeat assembly, and a frame so nimble it can be raised without any special machinery all contribute to remarkably fast builds. Our revolutionary QuickDome frame uses three basic parts that assemble in a simple, step-and-repeat pattern. 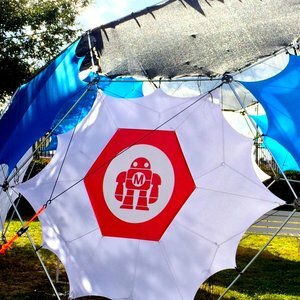 With fewer parts, less weight, and no machinery or tools needed to build, we can help you enclose a space in half the time and at a fraction of the cost of an equivalent-sized geodesic dome or tent. Our domes are truly like no other. Archimedes Design provides a frame for expression. Our domes can be dressed and re-dressed in so many combinations that they never need to look the same way twice. Panels and tent layers can be added or replaced in minutes, making it possible to have both night and day "looks" at a single event. Humans are social creatures. We understand the shape of a structure influences the experiences had in and around it. 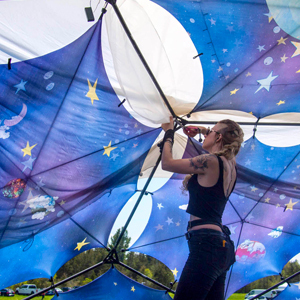 We make domes to optimize the potential for human interaction. Our domes forge lasting impressions worth sharing with others.